Home / Musings / Memoirs of an Unreformed Nerd 4: The Call of Cthulhu is Calling! Memoirs of an Unreformed Nerd 4: The Call of Cthulhu is Calling! I’ve started writing a roleplaying adventure for the Games vs Play crew. This is the first adventure I’ve written in over 20 years, and I’ve chosen to start with Call of Cthulhu, the classic horror RPG based on the stories of American pulp writer H. P. Lovecraft. Call of Cthulhu was always one of my favourite RPGs back in the day. I loved the atmosphere of cosmic dread, and the way that as a player character you truly feel vulnerable to forces beyond your control. In a Call of Cthulhu adventure you have to rely on your wits and ingenuity far more than your fighting skills if you are to survive an encounter with the malevolent power of the Great Old Ones. From the perspective of a gamesmaster, I also admire the adaptability of Call of Cthulhu. Right from the start Lovecraft designed his Cthulhu Mythos to be open to interpretation by other writers, and the RPG carries on this tradition. I generally prefer to build my own campaign settings over using premade worlds, so as a gamesmaster I always found this aspect of the game appealing. In this first adventure I’m writing the story will be set during Easter of 2008 in my home state of Victoria in southern Australia, in a region known as the Stoney Rises, one of the most isolated and desolate places I know of despite being little more than an hour and a half’s drive from the teeming metropolis of Melbourne. From what I’ve heard the 7th edition Call of Cthulhu rulebook (released online in 2014 and due for print publication later in 2016) is pretty good and improves upon while retaining the best aspects of the game’s earlier versions, but I’ve decided to use the classic 4th edition rules from 1989 for this first adventure. Obviously nostalgia is playing a part here. Me and Falk and our little group of adventurers used the 4th edition rules back during our peak RPG phase in late high school, which means I’m just old enough to feel a kind of rosy-tinged remembrance for my misspent youth. 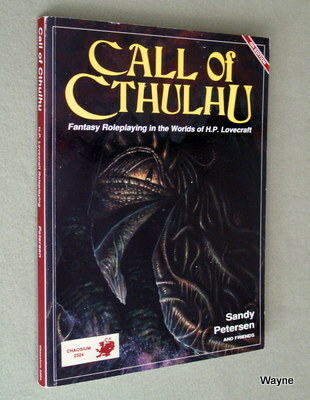 But as I soon discovered, although the rules to Call of Cthulhu may not have changed all that much, I have. As I’ve already mentioned, it’s been more than 20 years since I wrote an RPG adventure, but in those years I’ve done other types of writing. I wrote a PhD on the history of belief in UFOs, then rewrote it again as a travelogue and memoir that was published as The UFO Diaries. (A Bulgarian translation is currently in the works, which gives me a good reason to go to Bulgaria one day – Здравейте България!). 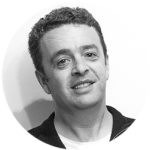 I’ve also written newspaper and magazine stories, media releases and community education material for my work in the health promotion sector. But I’d forgotten just how different it is to write a roleplaying adventure. Of course you need a basic narrative to hold things together, but if the story is too linear the players will rightly feel like passive spectators rather than active participants. Go too far the other way and you end up with the most boring kind of “dungeon crawl”, where it doesn’t really matter which path you take, just as long as you keep opening doors and fighting monsters. Don’t get me wrong, a good dungeon crawl can be great fun, but it still has to have some purpose to all that sneaking about underground. No, to write a decent RPG adventure you need to do something different. Firstly, there’s got to be a strong backstory, and as the gamesmaster you need to know it back to front. Don’t worry if the player characters don’t discover all the hidden twists you built into the backstory. Often it makes things more interesting if there’s still some mysteries left to be explored in later adventures set in your campaign. Secondly, the setting has to be believable. It has to feel real to you, the gamesmaster, so that you can make it feel real for the players. And the setting has to be flexible enough so that the players can take their own lead in exploring it, rather than feeling like they’re being shepherded from one signpost to the next. Lastly, and most importantly, you have to let the players construct their own story. Actually, this is something you do together, the gamesmaster knowingly but not omnipotently, the players one step at a time but with the power to choose their own path. Perhaps your adventure will have some set-pieces or pass-gate moments that the players need to resolve along the way, but how they get there, and how they react when they reach those encounters, should be up to them. This is where the gamesmaster needs to stop thinking like a writer and start acting like a referee. You simply can’t script a RPG adventure, and nor should you try. I’m enjoying getting back into this very different style of writing. It’s quite fun not knowing how everything will turn out. It’s also fun knowing where the monsters are hiding, especially when they have names like Nyarlathotep and the Fungi from Yuggoth … which reminds me, just how many Sanity points can a character lose before they go completely bonkers?